"If I had the time and a sledgehammer, I would track down every copy of that show and smash it." - George Lucas. 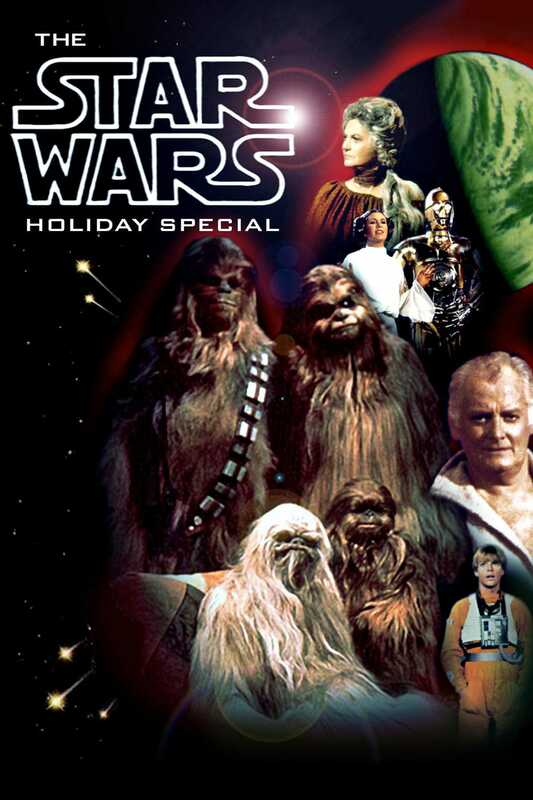 George Lucas’ greatest regret is back again this holiday season to make you question your faith in both Christmas and Star Wars when FilmBar and the Unfathomable Film Freakout bring you THE STAR WARS HOLIDAY SPECIAL. All your Star Wars favorites are back, Luke, Leia, Han Solo, singing wookies, The Jefferson Starship, Bea Arthur and more are all featured in this 1978 outer space variety show that no amount of digital effects is going to make go away. Don't miss the first appearance of Boba Fett and Chewbacca's family: his father Itchy, his wife Malla, and his son Lumpy! Hell, once you experience this television train wreck, you won’t even need to see that new Star Wars movie. You will understand completely why Luke Skywalker went into exile.